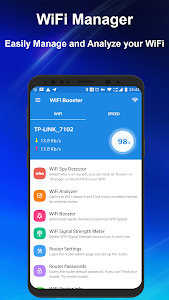 WiFi Manager - WiFi Network Analyzer & Boost & WiFi Speed Test is a handy and free WiFi Booster and WiFi Analyzer tool. 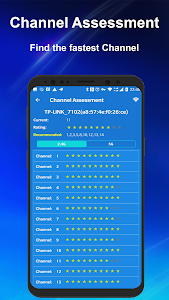 WiFi Manager - WiFi Network Analyzer & Boost & WiFi Speed Test is useful WiFi Tools such as WiFi Spy Detector(Who Use my WiFi), WiFi Speed Test, WiFi Analyzer, WiFi Booster, WiFi Signal Strength Meter, WiFi Security Protection and WiFi Channel Assessment etc. 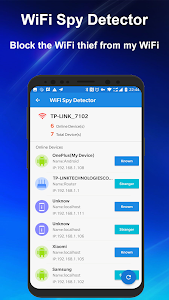 WiFi Manager - WiFi Network Analyzer & Boost & WiFi Speed Test is Powerful WiFi Protector and WiFi blocker / WiFi spy blocker to Detect Who use my WiFi and Protect my WiFi security. 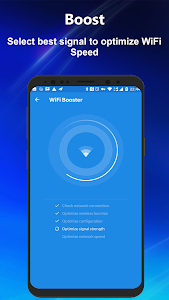 WiFi Manager - WiFi Network Analyzer & Boost & WiFi Speed Test can easily scan my WiFi and see how many devices connected to your WiFi network. You can mark as 'Known' or 'Stranger' or block them from your WiFi Router. WiFi Manager - WiFi Network Analyzer & Boost & WiFi Speed Test will test internet speed and show accurate broadband speed test results quickly. WiFi Manager - WiFi Network Analyzer & Boost & WiFi Speed Test shows the WiFi channels around you. Helps you to find a less crowded channel for your wireless router. WiFi Manager - WiFi Network Analyzer & Boost & WiFi Speed Test can tell you WiFi signal strength and see witch WiFi signal is better. WiFi Manager - WiFi Network Analyzer & Boost & WiFi Speed Test is a specialized WiFi optimization tool. it will check network connection and optimize your WiFi speed. 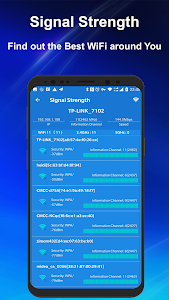 WiFi Manager - WiFi Network Analyzer & Boost & WiFi Speed Test can View your current WiFi connection signal strength and detect WiFi Signal Strength around you in real time. 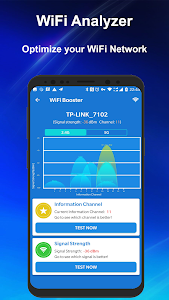 WiFi Manager - WiFi Network Analyzer & Boost & WiFi Speed Test can Quickly check your WiFi strength to help you find the best location. 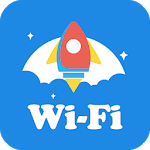 With WiFi Manager - WiFi Network Analyzer & Boost & WiFi Speed Test, You can easily access your admin page and make changes to your router settings. 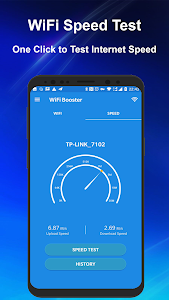 WiFi Manager - WiFi Network Analyzer & Boost & WiFi Speed Test helps you to access WiFi router page of any Router modems(192.168.1.1 or 192.168.0.1 etc.). WiFi Manager - WiFi Network Analyzer & Boost & WiFi Speed Test can help you discover the default keys and passwords of your WiFi Router. Do you want to know boost your WiFi and manage your WiFi easily? You just need to start WiFi Manager - WiFi Network Analyzer & Boost & WiFi Speed Test and it will help you! Similar to "WiFi Manager - WiFi Network Analyzer & Speed Test"